The Baltimore Convention Center and most of the SOT hotels are accessible to persons with disabilities. If you require special services, please let SOT know by indicating your needs while registering or by contacting Heidi Prange (703.438.3115). Language Services Associates is a nationwide, full-service firm providing translators and interpreters in 180 languages. Scootaround is a leading source for wheelchair, scooter, and powerchair rentals. Business casual. No coat or tie required! Bring comfortable clothing and shoes, and dress in layers, as meeting rooms sometimes fluctuate in temperature. If you register by January 11, 2019, you will receive your badge, event tickets, and other requested registration materials in the mail. Please remember to bring these items with you to Baltimore, as your badge is your admission to the meeting, sessions, and events. Tickets for CE courses and other events also may be required and are issued with your meeting badge. 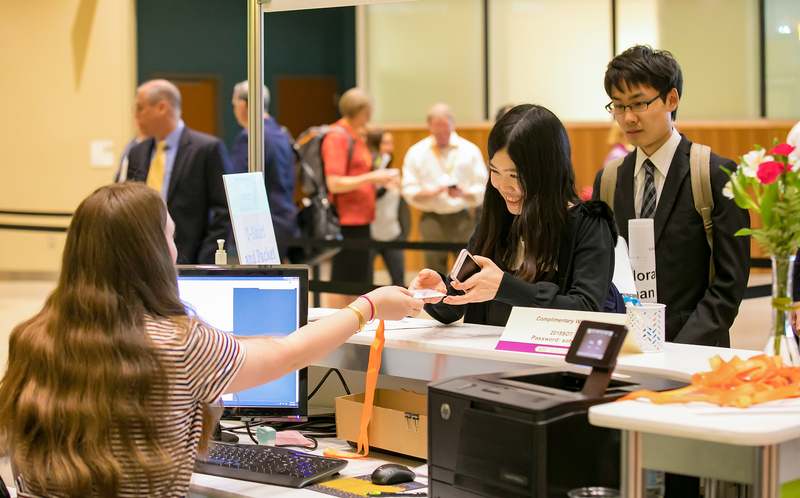 If you register after January 11, 2019—or did not receive your badge or misplaced it—go to the Registration counter on-site to pick up your badge. You will be asked to show a photo ID. Badge holders will be available on-site near Registration.